KENNESAW, GA--(Marketwired - September 02, 2015) - Yamaha Customer Support Group, a division of Yamaha Motor Corporation, U.S.A., and Panasonic Consumer Electronics Company announced today a two-year, multi-faceted marketing and ecommerce partnership that will integrate Panasonic Adventure's line of action cameras with Yamaha's line of powersports products. 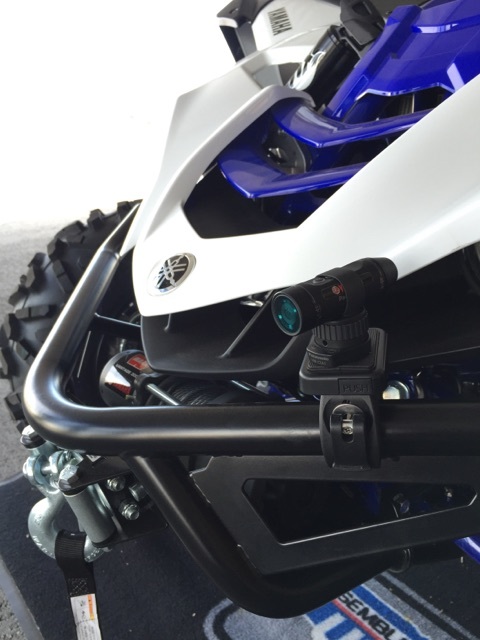 The relationship, which was announced during Yamaha's launch of its all-new YXZ1000R makes Panasonic the "Exclusive Imaging Partner and Action Camera of Yamaha Motor Corporation, U.S.A.'s Customer Support Group, Watercraft Group, and Outdoors Group." In turn, Yamaha is the "Exclusive Powersports Partner to Panasonic Consumer Electronics Corporation in the U.S."
The multi-year relationship also includes the development of Panasonic and Yamaha ecommerce sales collaborations across a range of product lines. Panasonic and Yamaha Customer Support Group will also explore the co-development of adventure products specific to Yamaha powersports products. "Panasonic and Yamaha are intrinsically aligned with a deep heritage in providing superior quality and technology with a shared passion to create emotional experiences for our customers," said Frank Pittman, Vice President, Customer Support Group, Yamaha Motor Corporation, U.S.A. "It made perfect sense to collaborate and capture all our customers' adventures." At the launch of the new Yamaha YXZ1000R, all attendees were outfitted with Panasonic's new A1 Wearable HD Action Camera to capture their rides in the new Yamaha Side-by-Side from their own unique P.O.V. perspective. 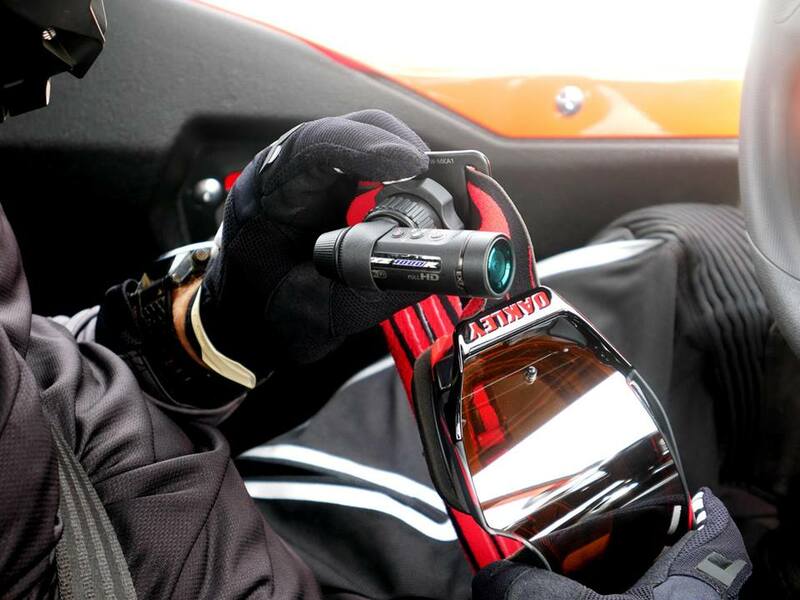 Panasonic's A500 Wearable 4K Action Cameras were also mounted to the vehicles to capture various perspectives during demo rides. "This collaboration is a perfect fit for us both and we are very excited at the possibilities that working with a like-minded innovator like Yamaha will create," said Julie Bauer, President of Panasonic Consumer Electronics Company and CMO of Panasonic Corporation of North America. "Our cutting-edge Panasonic Adventure wearable camcorders paired with Yamaha's exciting range of powersports vehicles create the ultimate experience for adventure seeking consumers who want to create unique content and share their outdoor adventures." To learn more about the all-new Yamaha YXZ1000R visit www.yamahamotorsports.com/YXZ1000R, and to make it your own visit http://www.ShopYamaha.com/Meet-Ya-New-Edge. To learn more about the Panasonic's line of rugged Action Cameras, visit http://shop.panasonic.com/cameras-and-camcorders/action-cameras. About Yamaha Motor Corporation, U.S.A.
Headquartered in Cypress, California, Yamaha Motor Corporation, U.S.A. (YMUS) is a leading distributor in the motorsports market, with the most diversified line of such products in America. Yamaha's ever-expanding product offerings include motorcycles, ATVs, side x side vehicles, personal watercraft, snowmobiles, boats, outdoor power equipment, accessories, apparel, and much more, which are sold through a nationwide network of dealers in the United States. Yamaha products are recognized the world over for superior quality in design, technology, craftsmanship, and customer-oriented services. These products and services under the brand name of Yamaha are highly regarded by a large number of professionals, institutions, business people within the related industries, and consumers as the best available. Based in Newark, NJ, Panasonic Consumer Electronics Company is a division of Panasonic Corporation of North America, the principal North American subsidiary of Panasonic Corporation. The company offers a wide range of consumer solutions in the U.S. including products from Ultra HD 4K TVs, Blu-ray Disc Players, LUMIX Digital Cameras, Camcorders, Home Audio, Cordless Phones, Home Appliances, Wellness, Beauty, Personal Care products and more. In Interbrand's 2014 Annual "Best Global Green Brands" report, the Panasonic brand ranked fifth overall -- the highest ranked electronics brand in the report. To learn more about Panasonic USA's products, visit www.panasonic.com. Follow Panasonic USA on Twitter @panasonicUSA; additional company information for journalists is also available at www.panasonic.com/pressroom. Panasonic and Yamaha Customer Support Group will also explore the co-development of adventure products specific to Yamaha powersports products. 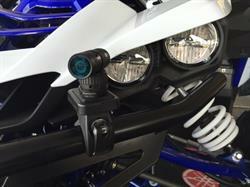 At the launch of the new Yamaha YXZ1000R, all attendees were outfitted with Panasonic's new A1 Wearable HD Action Camera to capture their rides in the new Yamaha Side-by-Side from their own unique P.O.V. perspective. The Yamaha Customer Support Group and Panasonic Consumer Electronics Company partnership was announced at a special event September 1 to launch Yamaha's all-new YXZ1000R.